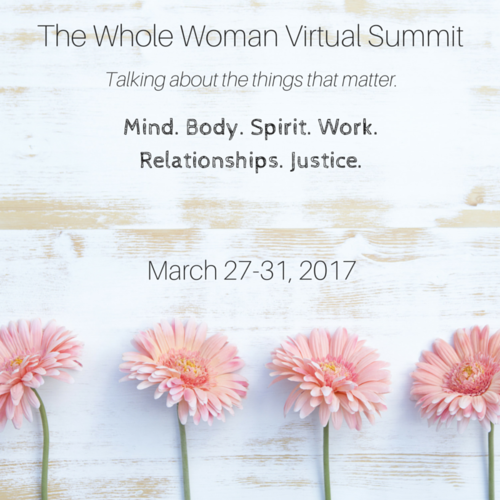 The Whole Woman Summit - Coming March 2017! We’re not ready to name drop yet but Kerry Connelly—Christian writer, speaker and coach— and I are working on something wonderful! The Whole Woman Summit is a virtual gathering of women with incredible speakers lined up to encourage, motivate, inspire and inform the whole you. Our talented and brilliant speakers will speak on mind, body, spirit, work, and relationship issues. Plus we’re including sessions that deal with justice for our communities and even within the four walls of the church. All of this amazingness from your home or office! OMG! You Look Amazing! You've Been Working Out! Lisa is an award-winning filmmaker, sought-after speaker who is both marketer and creative! Known as The Marketing Stylist™, Lisa also owns PrettyWork Creative, a creative agency, where she and her husband work together to create amazing stories for their clients.